In the machining industry, many companies have large numbers of CNC machines. In some cases, these machines run 24 hours a day, seven days a week. Production goes on, and the machines have to keep running. Often these machines are highly automated and make use of the latest technologies. But there are some aspects that are often neglected. One of these is correct maintenance of cooling lubricant. After a while, leak-off oil or slideway oil forms an airtight layer on the cooling lubricant. As a result, bacteria and mould have the opportunity to grow, which can cause various problems. Some of these problems are reduced production quality, health problems for workers and higher costs due to the need to replace the cooling lubricant sooner. Preventing these problems is the main reason it is so important to maintain the cooling lubricant properly. At Hebemann we naturally recommend that you skim the cooling lubricant regularly. This prevents the formation of an airtight layer of leak-off oil on the cooling water, so bacteria and mould do not grow and the cooling lubricant lasts much longer. During production hours, some of a CNC machine’s cooling lubricant will always evaporate. This results in the cooling water level being too low, which in turn has all kinds of negative consequences for your production. A system such as the Fluid Fill Matic can help. This automatic topping-up system monitors the cooling water level and automatically replenishes it at the correct concentration. This results in considerable savings in the production work with cooling lubricant. Bacterial growth occurs sooner in stagnant water. This also applies to stagnant cooling lubricant. It is therefore a good idea to keep the content of the cooling water tank circulating. Liquids in the lines connected to the CNC machine can also be a hotbed for bacterial growth. It pays to keep an eye on this—by regularly checking and cleaning the lines, for example—and to make sure that bacteria do not get a foothold here. Once the cooling lubricant has been replaced, it is easy to become complacent and pay less attention to its quality and maintenance for a while. Since it is new, we think it is in excellent condition and put it out of our minds. But it is precisely during this initial period that is important to keep the emulsion good for as long as possible. At Hebemann we therefore advise you to skim the cooling water right from the start, as this will prevent the leak-off oil from forming an airtight layer. 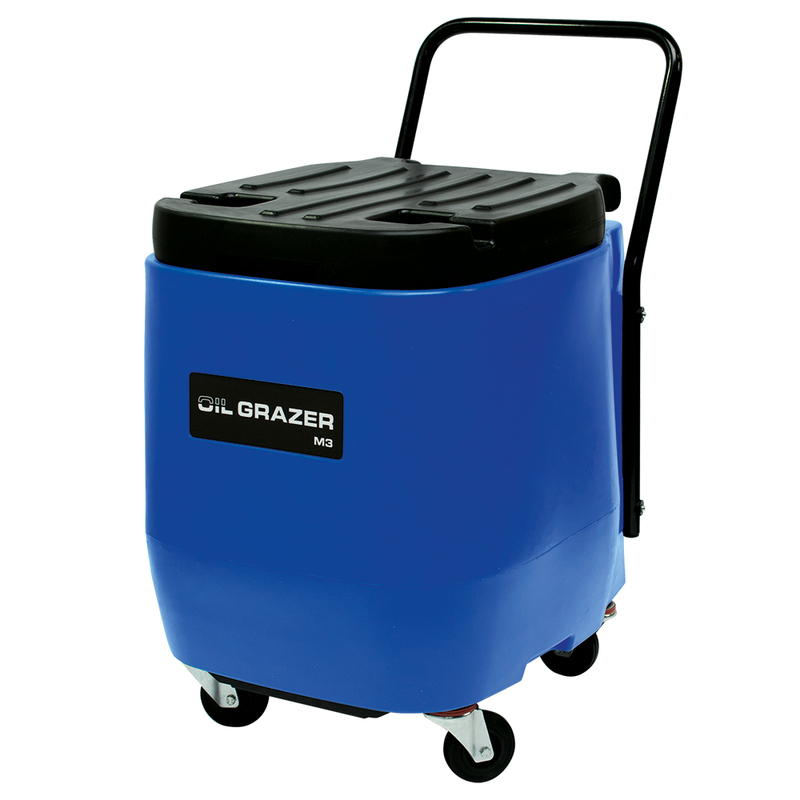 Users of the Oil Grazer M3 have found that this will easily double the service life of the cooling lubricant. In the machining industry, many companies have large numbers of CNC machines. In some cases, these machines run 24 hours a day, seven days a week. Production goes on, and the machines have to keep running. Often these machines are highly automated and make use of the latest technologies. But there are some aspects that are often neglected. 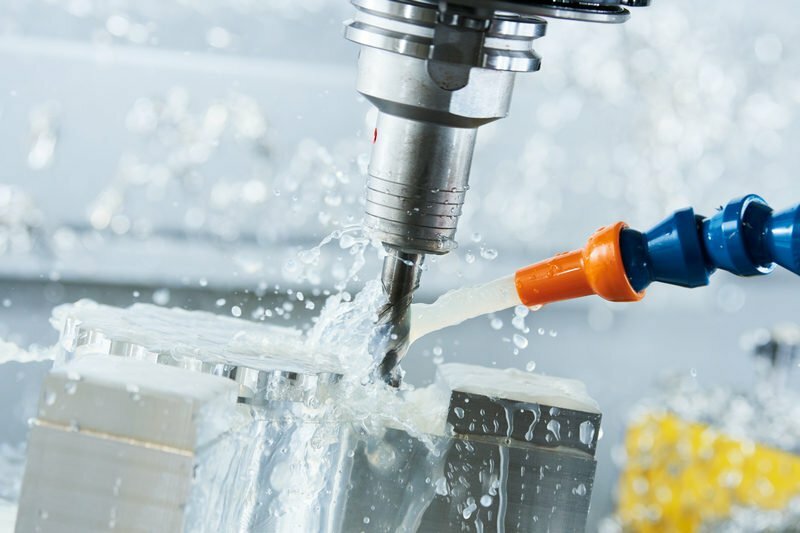 Good news for the machining industry: there is a revolutionary new skimmer for cooling lubricant on the market. Thanks to the Oil Grazer M3 there is no more excuse for not having perfectly maintained your cooling lubricant. I once visited some wine cellars in Jerez in Spain, where I had a glimpse inside the oak wine barrels that they use. Over the surface of the wine, covering it entirely, was a thick greyish white layer which the sherry makers lovingly referred to as ‘flor’. This fermenting layer seems to be what gives the sherry its flavour, but since seeing it, I’ve decided to drink other drinks.